Living between New York, London and Dubai, Halla Walla co-founders Eriko Varkey and Yasmine Rasool often faced the dilemma of explaining their background and the reality of living and growing up in the Middle East. Driven to alter the perception of Arabs in the West, especially with the current state of discourse worldwide, the duo set out to create Halla Walla to depict expressions and emotions in colloquial conversations representative of the region. “When it came to representing the modern Middle Eastern voice, we felt there was really a gap in social messaging platforms,” Rasool says. “From our loud families, endless cousins, gatherings and shared meals, to signature phrases, fashion statements, football, shisha and late night shawarma runs- our lives are brimming with inside jokes and over the top emotions that needed a platform to be expressed.” From “Yalla!” and “Shway shway,” to the much loved shawarma, as well as the huge mandi often shared by families in the Arab world, and even an ode to Chips Oman- these are just a few of the icons you can now express yourself with, from Arab emoji app Halla Walla. 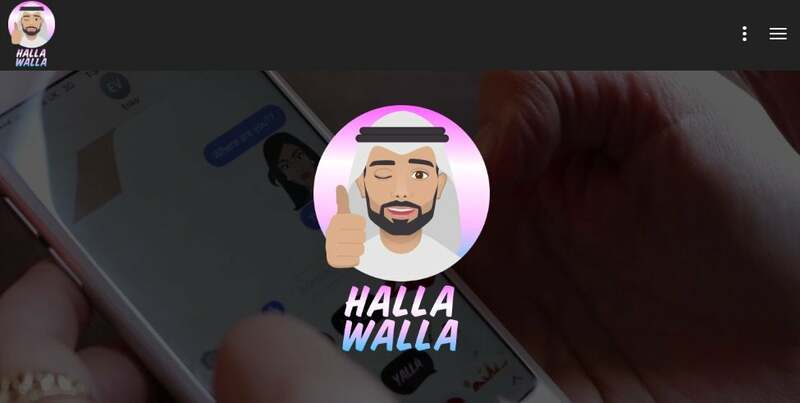 Halla Walla –which is a form of a friendly greeting in Arabic- actually started as a side project for the founders. The duo, whose backgrounds are in arts and business, heads creative agency YERV, with the self-funded company having previously launched Waastaa in 2015, a platform and directory for creative professionals worldwide. In building Halla Walla, they found it an enjoyable pursuit to look into their everyday life and redevelop an appreciation for their local culture. A four-month development process, it consisted of researching, brainstorming, designing, and conducting focus groups in the GCC, New York and London to hear from their friends on what kind of Arab emojis they want, before releasing it on the App Store and Google Play and introducing it to the public with a launch party in Dubai. As with any venture, they had their share of roadblocks too. Their biggest one was managing various components of their operations in three different cities, with the process being a learning curve as they worked with developers and engaged with the Arab tech space. Having a strong foundation was a significant aspect they focused in overcoming problems ahead- this is also distinct in their outlook to having investors. Though they’ve been approached by offers, they’re currently focused on growing organically, and intend to remain as such. They add that companies who receive investments tend to spend without engaging with their audience, and so they want to take their time. Going along with the market shifts is evident in their business approach too- with the traction of Halla Walla, YERV has now released an augmented reality (AR) game called Wain Waleed, using localized digital content. 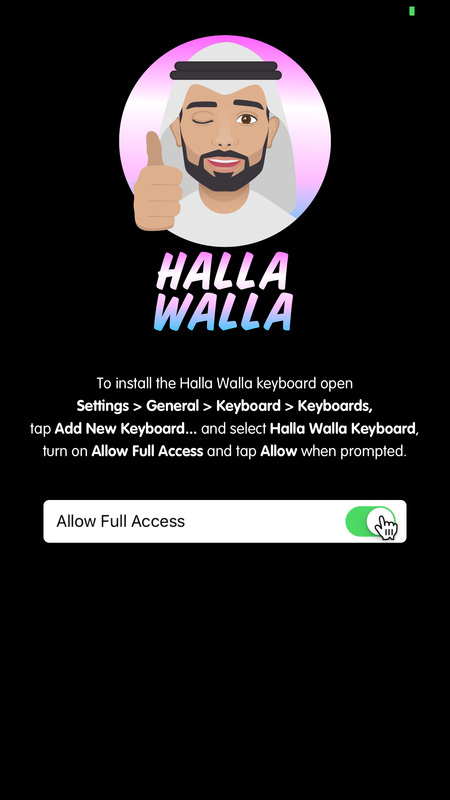 In the AR game, Halla Walla emojis “come to life,” as its characters are prompted to interact with its environment, and users have to find objects and characters to win prizes such as dinners for two, and even concert tickets. As of now, it’s currently available for iOS devices. What are your three tips for creating an innovative, fun product for the region? Given the number of apps available today, do you think the boom days for app businesses are coming to an end?